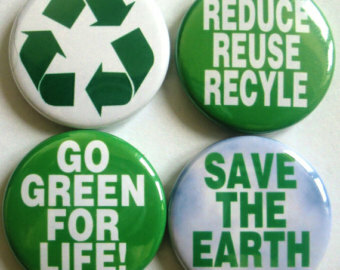 “Go Green” button badge on Saturday as a campaign for non-plastic day. If your company is facing limitations in financing your marketing activities such as awareness campaign or introducing product promotion, button badge is the best options for you. What you need to do with button badge? Simple! Just print strong words that can attract and inspired people onto the badge and distribute it to your customer as a free souvenir. Button badge can also be as name tags or id tag. 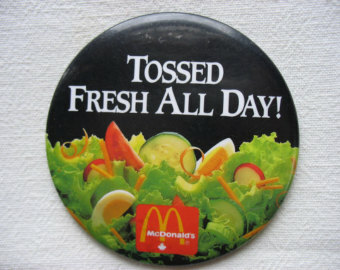 You can see most of fast food restaurant staff wearing button badge as their name tags. The reason they are using button badge instead of the name tag is to show informality and friendliness atmosphere. Take note that your button badge design must be simple but approachable to make the message clearly deliver to your target market. To make it more attractive, use suitable image and color. Are you having difficulty to design and make your own badge? ?